Sir Hubert McFeatherington is the leader of his flock. The hens adore him and the other three roosters fear him. Xavier Feathersworth was his faithful follower. He’s the lieutenant and Sir Hubert is the general. Yet, as they’ve grown together, Xavier has started to become…resentful. Resentful because the other roosters pick on him while Sir Hubert just laughs. And with this growing resentment, Xavier has started to become…disloyal to Sir Hubert…and his own flock. 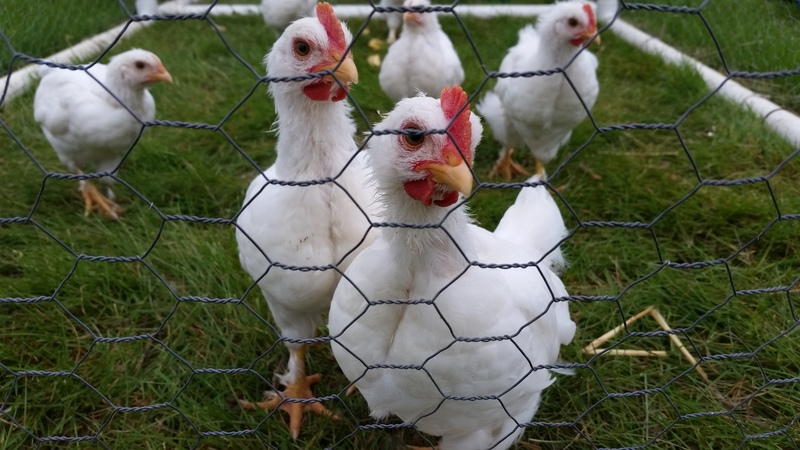 One day, after a particularly painful pecking, Xavier quietly escaped through a gap in the run and darted over to the older flock to talk with their leader. 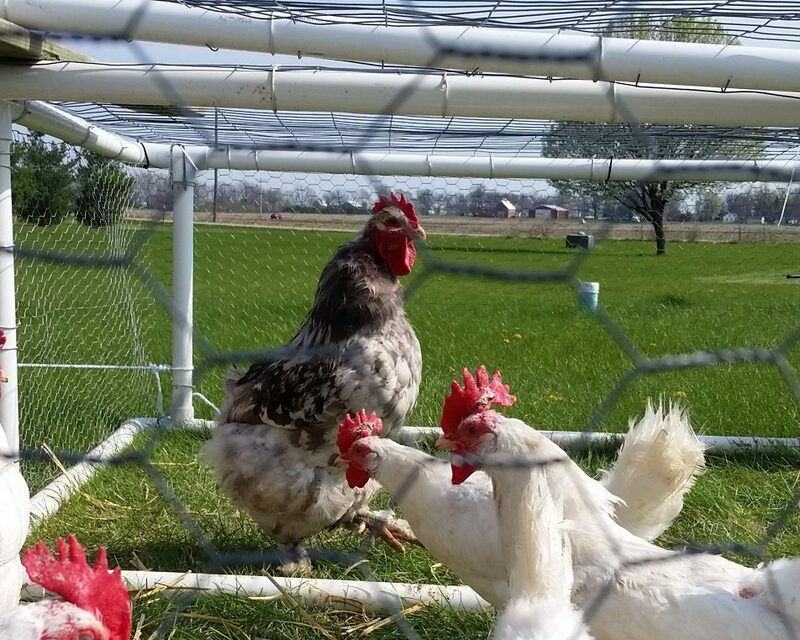 Pecky and a few of his hens were out in the pen. They turned toward him when he cleared his throat. “Looks like a little rooster,” said another hen. Pecky eyed Xavier warily. The hens, who had no respect for Pecky gave a few sharp pecks and wandered up the ramp to eat. Xavier’s heart fell. A henpecked rooster would not be able to help him. “What do you want?” Pecky asked, embarrassed by the hen’s treatment of him. “Well, I had hoped…but nevermind,” mumbled Xavier as he turned to go. Xavier turned back and saw a desperate yet hopeful gleam in his eyes. Pecky looked at Xavier thoughtfully, then turned and looked at his raw, red back and his lack of tail feathers. Maybe, this was his chance to start over with a new flock. “Tell me more,” Pecky said, smiling as much as a henpecked rooster could smile. 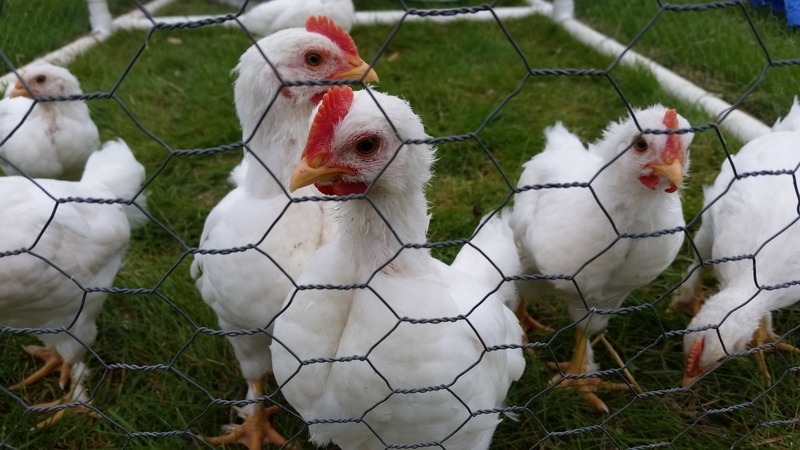 This entry was posted in A to Z Blog Challenge, Chickens!, Pecky Greenleg, The Chicken Wars, Writing. Bookmark the permalink.